Everyone loves the Minions! Well, now you can have your very own talking Minion! Have you ever found yourself wanting one of those cute and adorable Minions to have as a loyal companion? Well, we have good news! 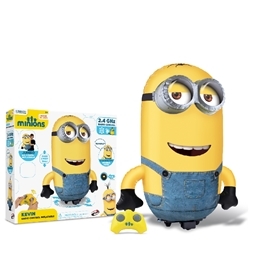 You can now have your very own remote controlled Minion to control and do whatever you please. 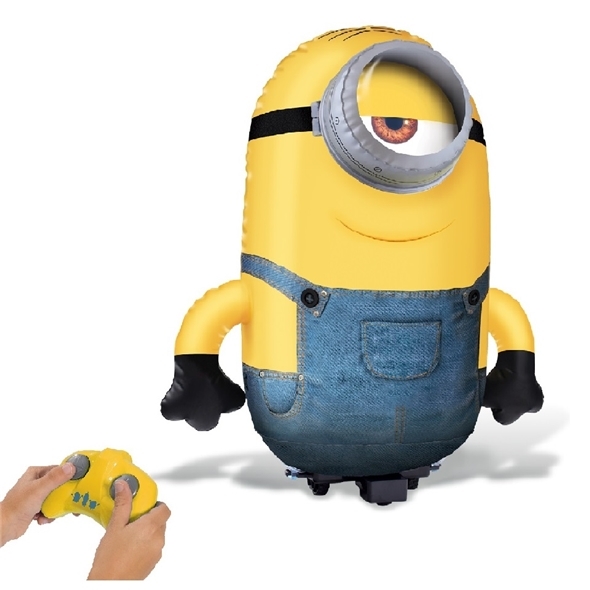 This remote controlled minion is really easy to inflate and can move in any direction! It also spins 360 degrees on the spot. It also has 12 different sound effects voiced in what ever language the minions speak. All these amazing features, make this the perfect gift for any child , although we're fully grown adults and we love playing with him as well! Everyone knows that Minions were the main reason why we enjoyed Despicable Me so much and thankfully the cute little yellow Minions got there own film. 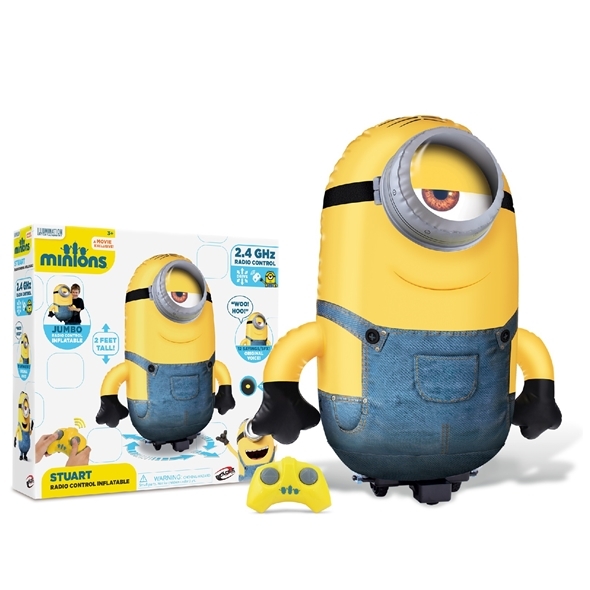 And with this Talking Minion: Inflatable Stuart RC Toy, you can have your very own loyal minion! It would make a great gift for all ages. It's super easy to inflate and control, and his adorable squishiness is completely irrestible. So what are you waiting for? Get your very own minion, before they're all sold out!